BLENDING IN: A 3G/4G/5G tower can be put on public buildings or pylons to fit in with their surroundings and not be too obvious. 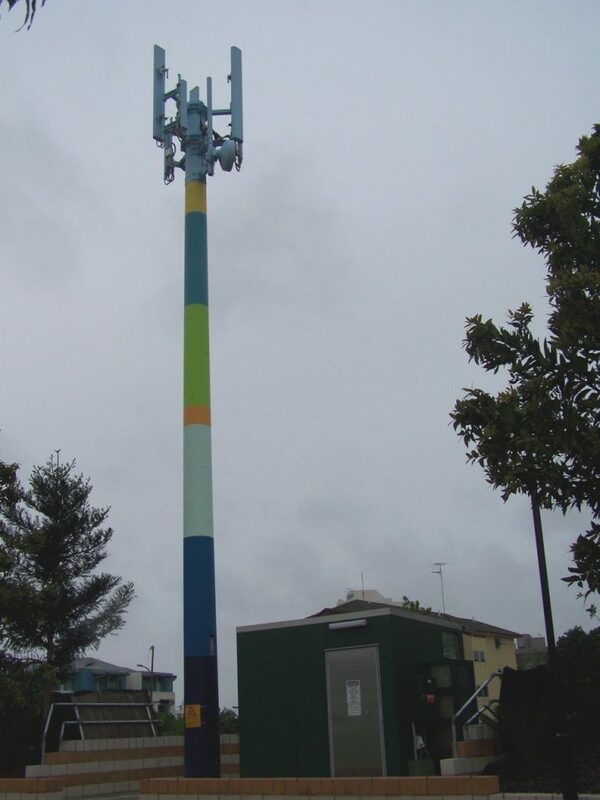 This mobile tower in Kangaroo Point, Queensland, was painted to look like an Aboriginal stick. Picture by Cybergothiche. A PANEL of scientists has urged network providers to carry out immediate safety checks on public health across the UK before rolling out their replacement wireless technologies en masse. The 5th Generation Network is the description given the replacement network of the current 4G LTE mobile networks that we use for Android phones and other handsets. 5G is intended to be the technology to enable the Internet of Things (IOT) to exist and tie all Internet devices together. The Environmental Health Trust has posted research claiming that the roll out of 5G could have unforeseen consequences for human health. They say that published peer reviewed sciences shows that wireless technologies of 2G, 3G or 4G used with our phones, PCs, IPads and wearable techs creates radiofrequency exposures pose a serious risk to humans, animals and the environment. A 3G/4G Mobile base station tower can potentially cover up from 50km to 150km but due to the millimetre waves of 5G frequency the distance between 5G mobile base stations is 200 to 300 metres. With this knowledge already known, the Trust says that research on human health must be urgently done to ensure that the public and environment are protected. A spokesman for the Basic Science Working Group, whilst talking a number of interested parties at seminar says this: “There is an urgent need to evaluate health effects including skin physiology of 5G before it is implemented and exposed. Sweat ducts are strong absorbers of 5G radiation. To put this into some sort of perspective, the symposium also touched upon research being done by American, Chinese and Russian defence agencies to developing weapons that rely on the 5G equivalent of electromagnetic frequency range. They are called active denial systems or dispersal guns for crowd control. When the beam is directed at the crowd, they ran away when it was directed at them and they stood stationary without moving, the recipient would receive a burning sensation on the skin that would turn rapidly into feeling that they were on fire. Dr Paul Ben-Ashai of the Department of Applied Physics, in his presentation, articulates the Active Denial System in the words of the US Department of Defense. It appears on the surface that this technology would be useful in a seriously unstable public disorder scenario, but the question, I would ask, given the conclusions of the presentation later on, is what would be the long-term health consequences of the target? I am inserting footage of how this Active Denial System is used by the US Military and there are comments of support as well as those of skepticism. The link is here. Anthony Miller, MD Professor Emeritus of the Dalla Lana Public School of Health of Toronto, Canada, made these conclusions at the end of the presentation. 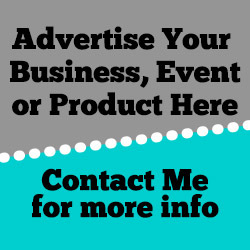 FOR the full written information, visit Technocracy News. THIS technology is also profiled in the film Bird Box and is discussed by this independent platform. Smart meters are part of the distribution I believe. Don’t allow a smart meter to be installed in your home. The crowd control aspect is unconnected. The military use power levels that heat the top mm of skin. MUCH higher power levels. Mm radio waves used as *part* of the 5G spec will be at much lower power levels and not cause heating. Radio waves do not cause ionisation at all. Unlike nuclear radiation. There is conjecture that mm waves may possibly cause changes in the electrical systems of bacteria cell walls. But nothing much has been found yet in tests on cornea tissue.